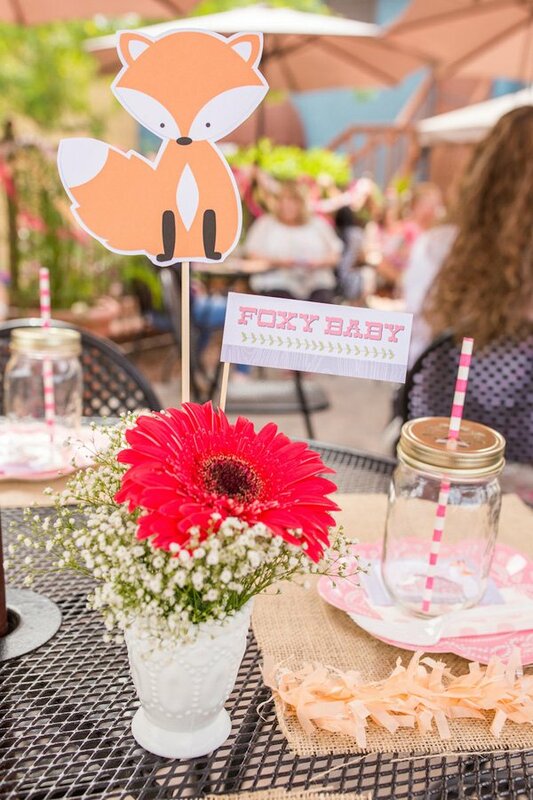 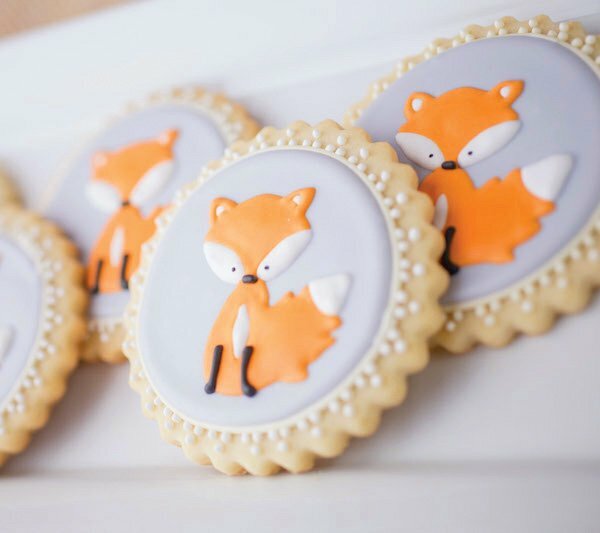 Girlie fun meets woodland charm in this fantastic “Foxy Baby” Baby Shower that Petite Party Studio hosted for their co-owner – and fellow “Foxy Mama”! 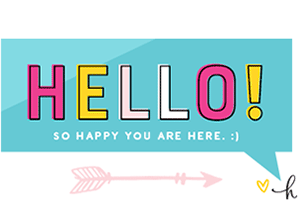 – Shannon. 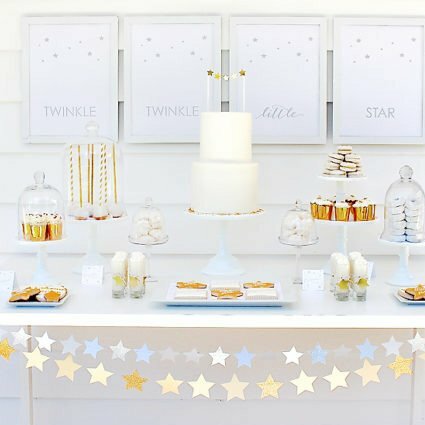 ;) They did such a great job here of incorporating stylish ideas that are super budget-friendly too… from a colorful honeycomb-and-tissue-daisy dessert table backdrop to simple-chic baby’s breath bunches displayed in mason jars. 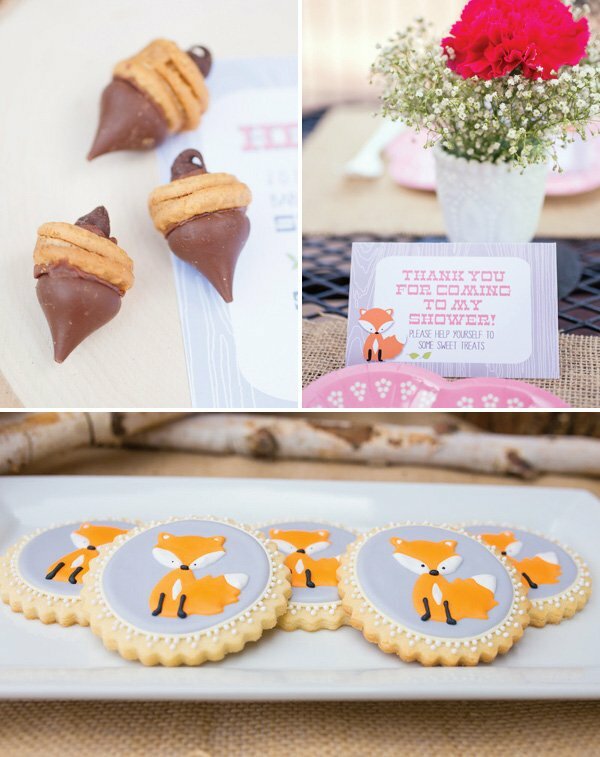 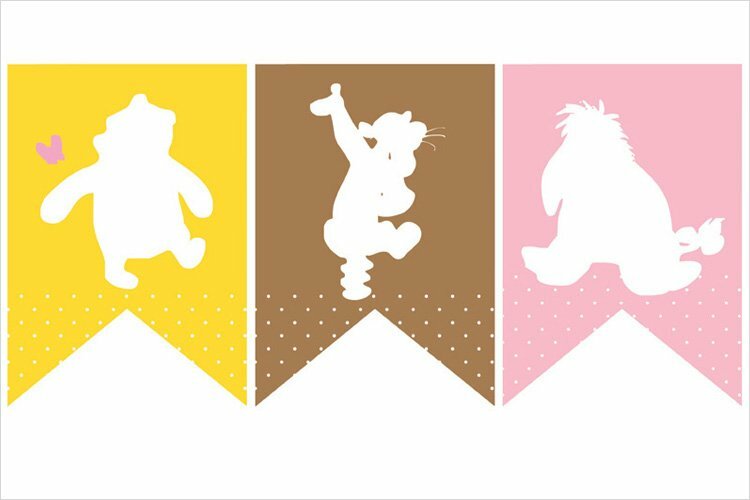 And all of the details coordinated perfectly with the help of their adorable fox themed baby shower printables, of course! 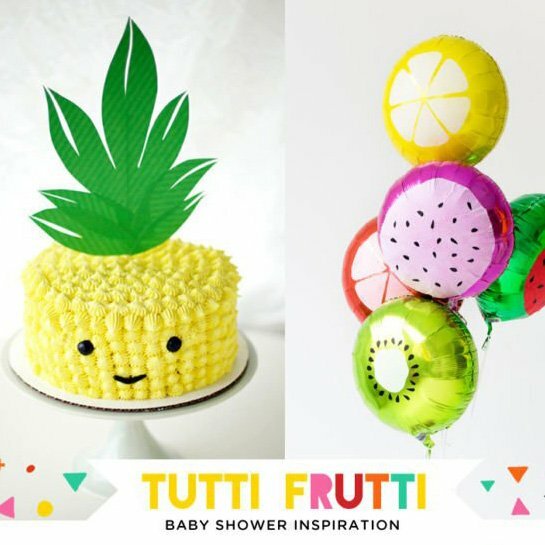 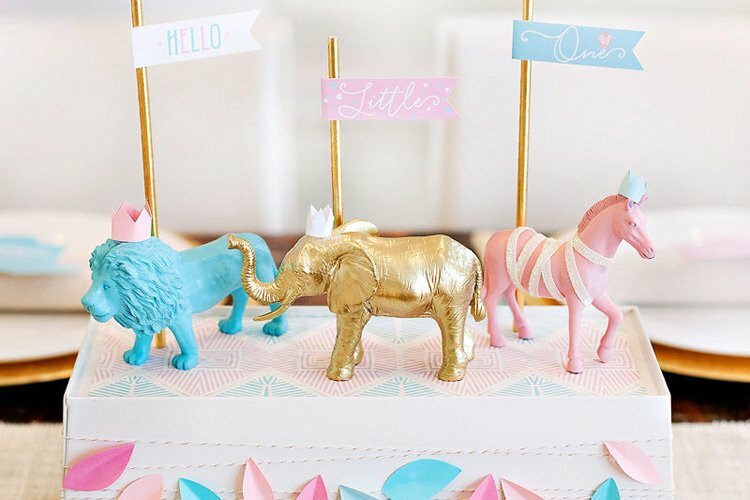 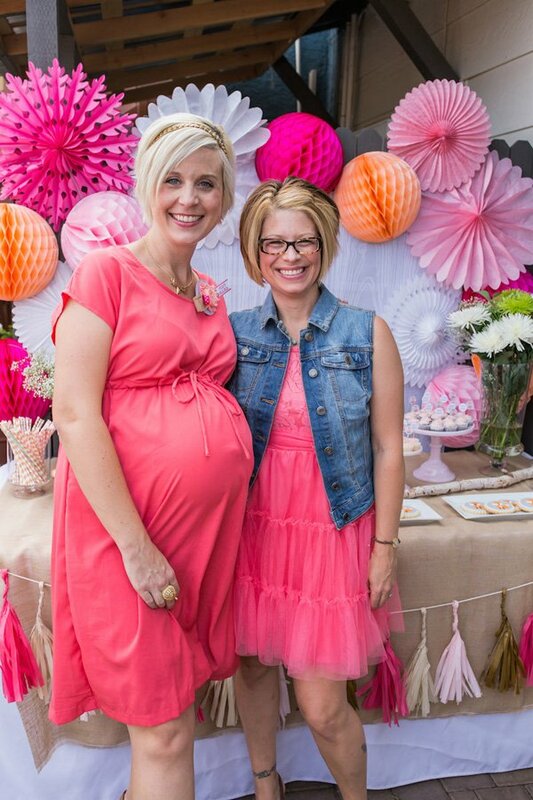 We hosted a baby shower for Shannon, the co-owner of Petite Party Studio. 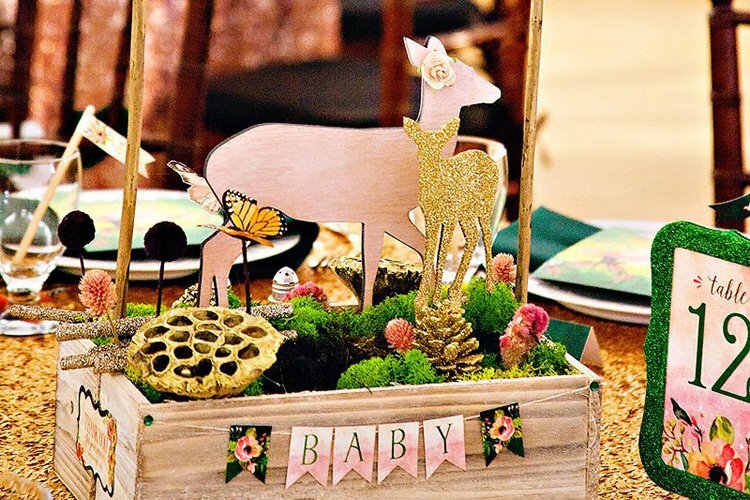 She welcomed her 3rd baby late spring and after having 2 boys…she finally was having a girl. 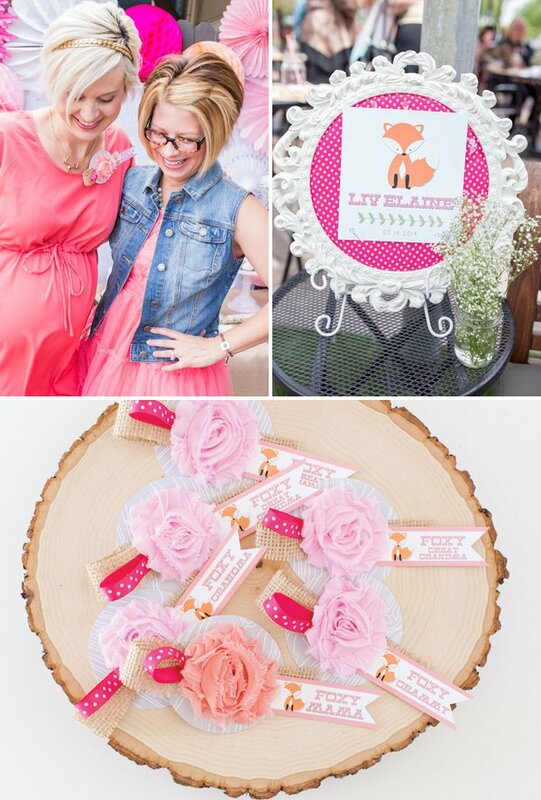 So, to celebrate, we set the theme to honor this gorgeous “foxy mama” and foxy baby girl! 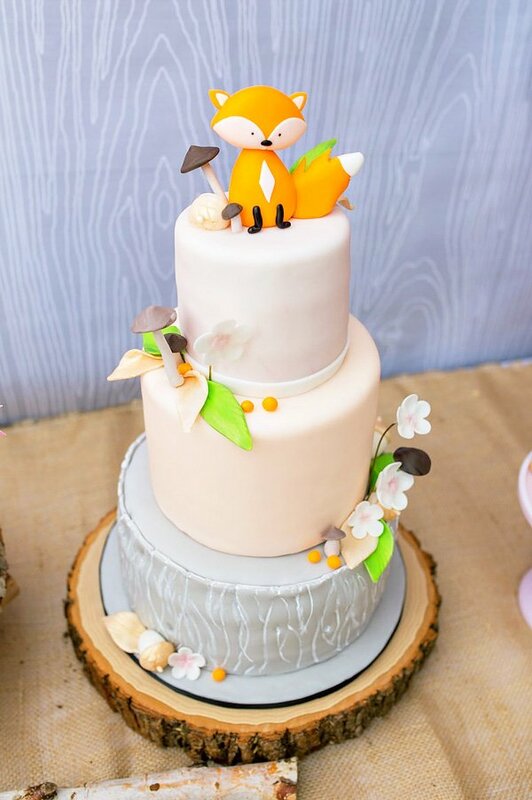 Various shades of pinks, oranges, corals and cantaloupe set up the color palette with a darling woodland fox theme. 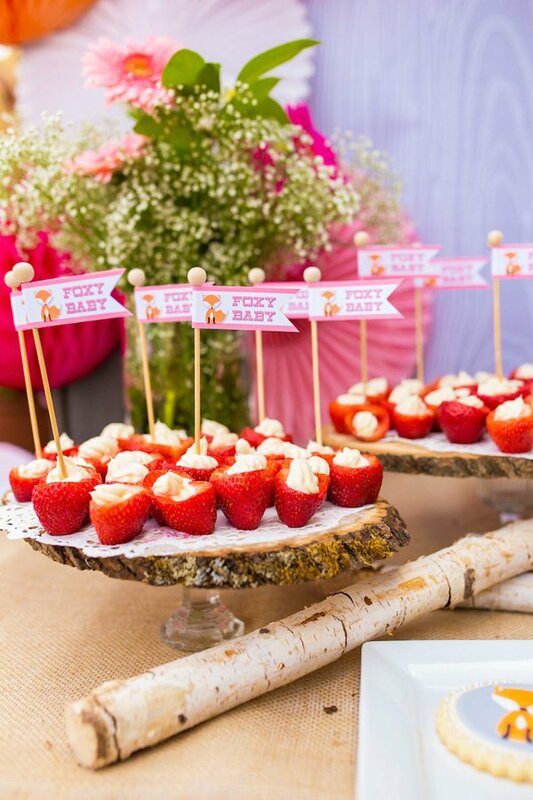 To play off of the theme, decor and favors were embellished with the phrase foxy baby and foxy mama. 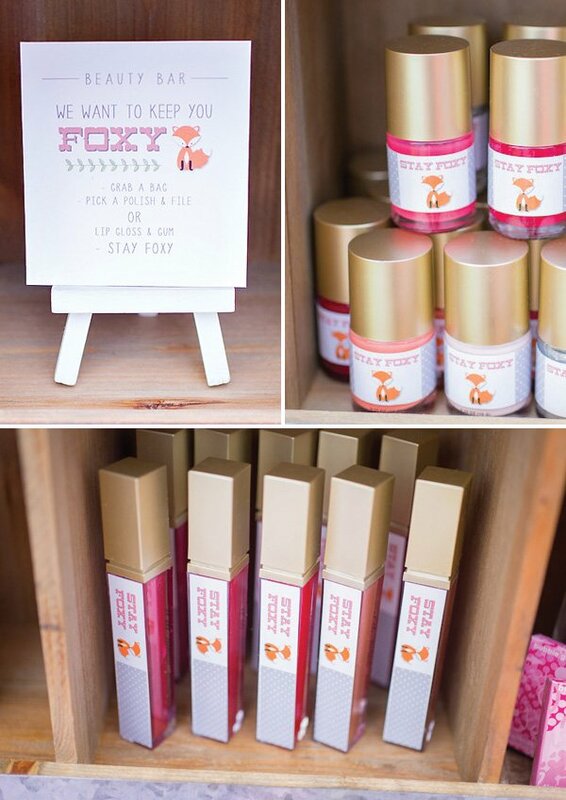 Our favorite element from the shower, other than the dessert table, was the beauty bar where guests could pick their favorite items to help them “stay foxy”. 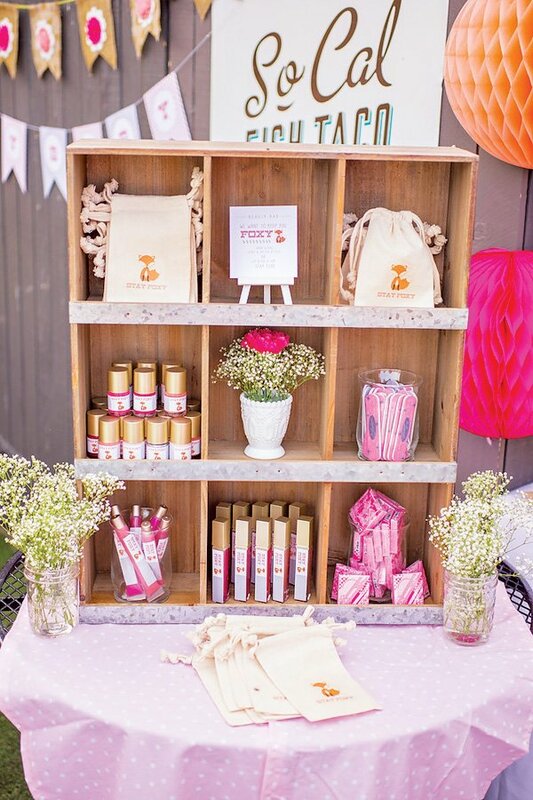 Guests could pick from nail polish, lip gloss, nail files, and gum that could be packed up in darling muslin bags that we DIY’d with the main graphic from the shower. 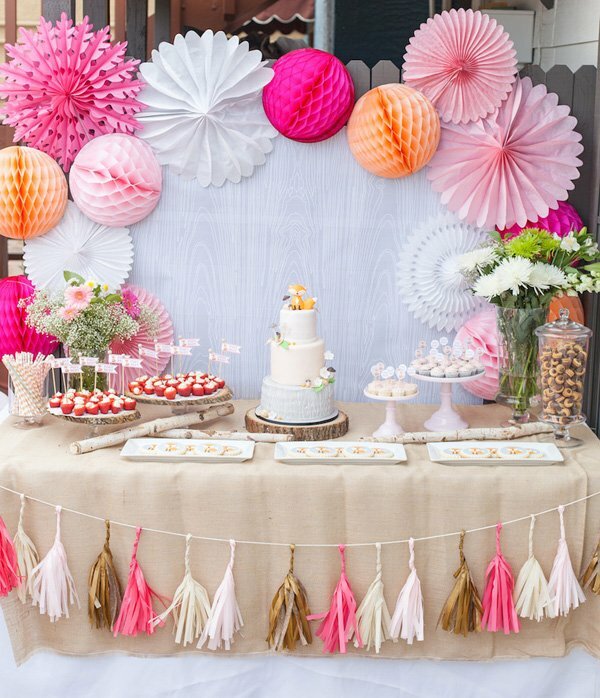 The tables were set with burlap placemats that we dressed up with pieces of tissue fringe. 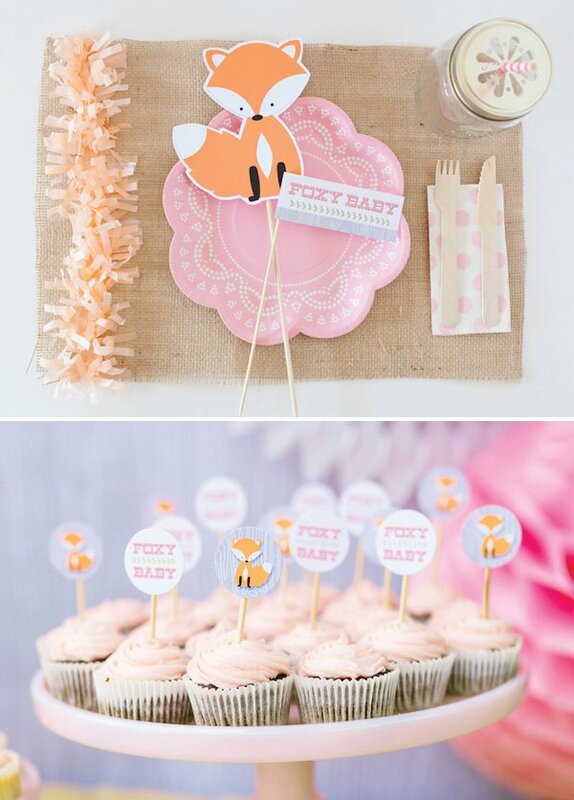 Fox printable cutouts were a great budget decor piece to help bring the theme throughout the party. 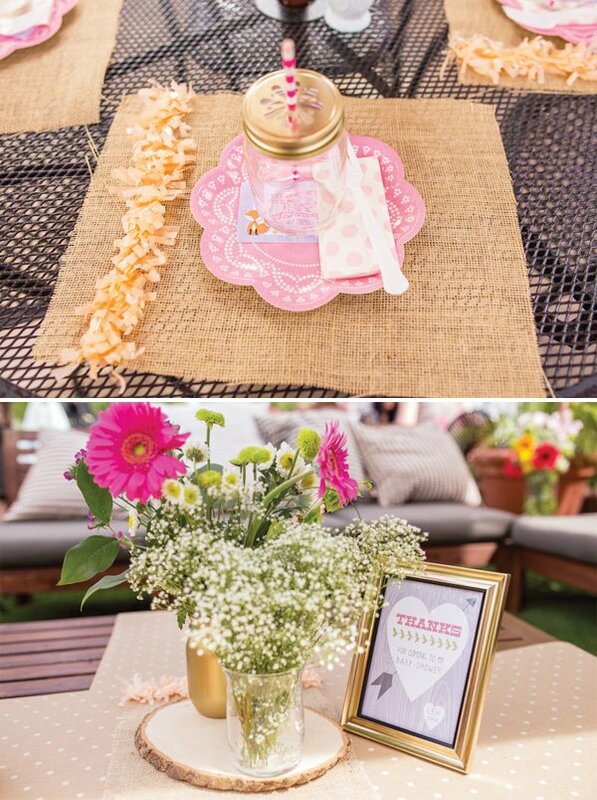 To highlight the guest of honor we made super cute name tags with printables, ribbon, flowers and burlap.